VaiSulWeb announces that it is moving its cloud hosting service from BETA to production stage, ending an open-BETA program which started on the beginning of current year. Designed to reduce the efforts needed to manage an highly-scalable website, VaiSulWeb Cloud Hosting service blurs the edge between traditional Web Hosting and a dedicated infrastructure by providing ease of management, typically associated with shared hosting, and powerful scalability provided by cloud infrastructures. After publishing their website once, customers will be able to scale from single to multiple shared servers, up to one or multiple reserved instances which will provide scalability and performances usually associated with dedicated infrastructures like virtual or physical servers. Reconfiguring a website is as easy as a click of a mouse and such changes will be performed with no service interruption and no need to republish website contents. Integration with Microsoft Web Application Gallery allows users to download and install many different open-source applications through a very easy-to-manage interface while support for WebMatrix integration and Git repositories enable advanced scenarios like continuous-deployment. 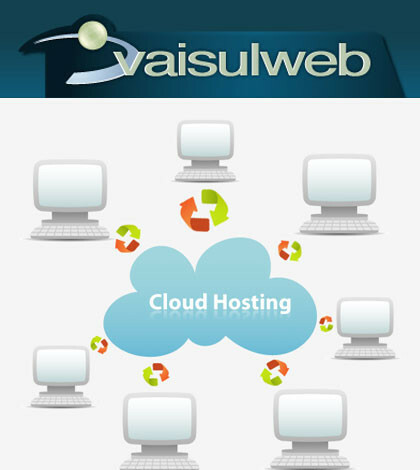 VaiSulWeb Cloud Hosting service offering has been designed to meet both simpler (professionals, SMBs) and enterprise-level demands (websites that need high scalability) and has been built on top of Windows Server 2012 clusters which provide a double layer of redundancy, excellent performances and support for all most innovative technologies. VaiSulWeb is also announcing a free trial package (VSW Cloud Free) which allows users and enthusiasts to consume up to 80 hours of computing power per month, experience most of the basic functionalities and fully test their applications before deciding to buy that service. Service provider is also taking this opportunity to announce that a new open-BETA program will soon start and that will allow to experience and test for free all new features that VaiSulWeb will add to its cloud hosting service later this year. Besides new features and improvements, a new service (Service Bus) will provide a messaging channel for connecting your cloud applications to your on-premises applications, services and systems.